Thank you to the Team-BHP fan (he prefers to remain anonymous) who sent these images in. Heartfelt gratitude for sharing it with other enthusiasts! 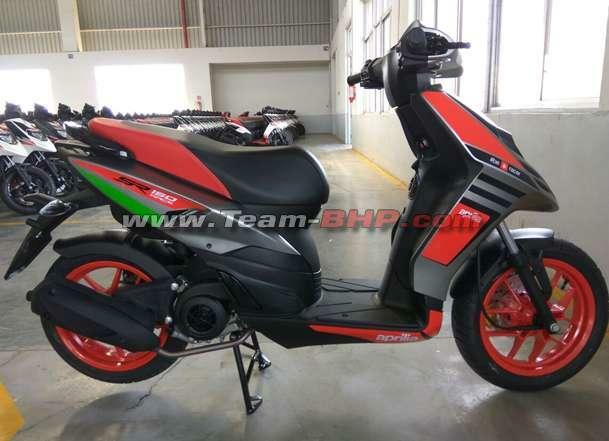 Aprilia is planning to launch a Race Edition model of its entry-level gearless scooter - the Aprilia SR 150. It will officially be launched in India on February 9, 2017. 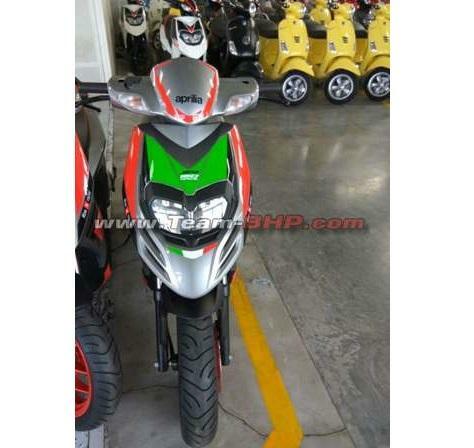 The SR 150 Race Edition will come with some cosmetic tweaks, while it is expected to remain mechanically unchanged. 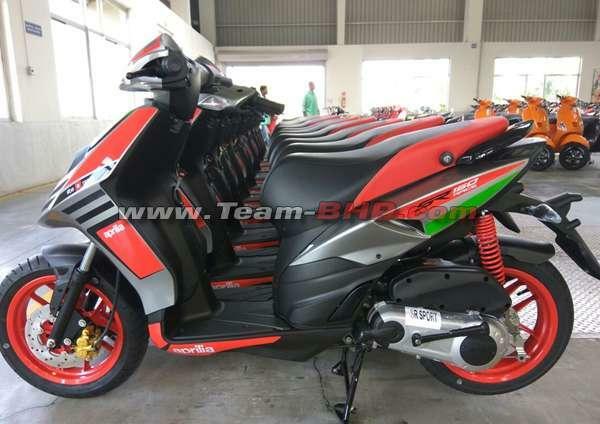 Cosmetic changes visible in the images include a new grey colour with red & green body graphics, a gold-coloured front brake caliper, red alloy wheels and a red spring for the rear shock absorber. Other design elements are expected to remain unchanged. Aprilia had launched the SR 150 in India in August last year. It is powered by a 154.4 cc, single-cylinder, air-cooled engine, which churns out 10.4 BHP @ 7,000 rpm and 11.5 Nm of torque @ 5,500 rpm. It is currently priced at Rs. 68,806 (ex-showroom, Delhi).